Casey Rogers, a student at Keiser University’s College of Chiropractic Medicine, was awarded a national scholarship during the National Chiropractic Leadership Conference (NCLC) in Washington, D.C. recently. 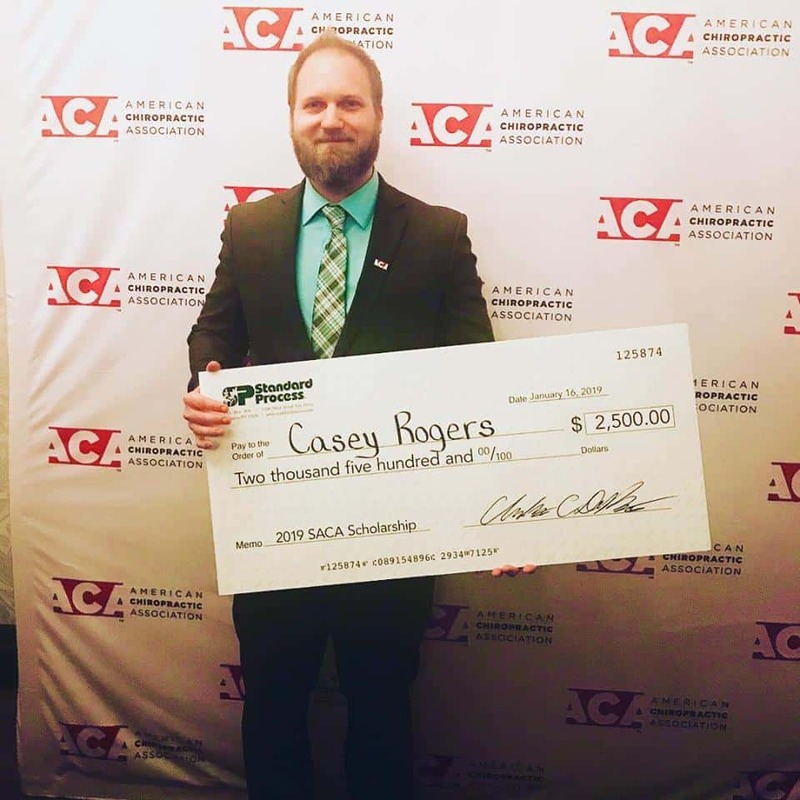 Rogers was one of four members of the Student American Chiropractic Association (SACA) to receive a $2,500 check to continue his studies. Standard Process, an American Chiropractic Association corporate partner and conference sponsor, presented the scholarships in recognition of winning essays the students submitted as part of a competition. 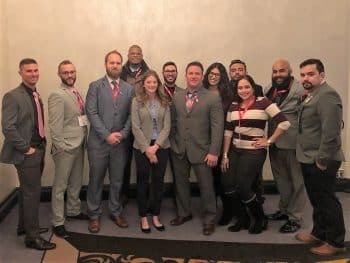 About a dozen members of the Keiser University SACA joined more than 400 SACA members from around the nation for the conference in mid-January 2019. NCLC is a national conference for doctors of chiropractic, chiropractic assistants and chiropractic students. Beginning in 2020, NCLC will be called ACA Engage. NCLC is known for bringing together industry leaders from all over the country to meet with members of Congress on Capitol Hill. The program has expanded to include a wide variety of education offerings (with CE credit available), speeches from respected thought leaders and panel discussions that delve into important topics. The new name reflects the association’s efforts to position the chiropractic profession for success by engaging a new generation of doctors with these exciting education, career and leadership-development opportunities. The American Chiropractic Association (ACA) is the largest professional chiropractic organization in the United States. ACA attracts principled and accomplished chiropractors who work hand in hand with other health care professionals, by lobbying for pro-chiropractic legislation and policies, by supporting meaningful research and by using that research to inform treatment practices. The organization also provides professional and educational opportunities for members.